There are few things better in life than patiently enjoying a very fine bottle of wine with close friends. I remember as if it were yesterday a full horizontal tasting at Domaine Etienne Sauzet in Puligny back in the summer of 2009. This Bâtard-Montrachet certainly merited the epithet “Grand Cru”. Beautifully floral and perfumed on the nose, feminine, dustings of icing sugar, cherry blossom, vanilla. There is incredible concentration but with a light, poetic touch. Linear, fresh, mineral, sophisticated. 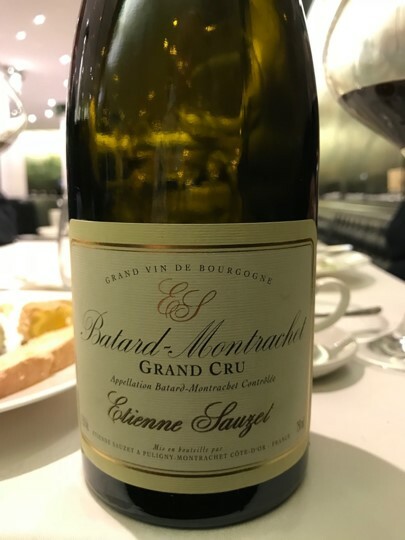 This grand cru Bâtard-Montrachet caresses the palate, it whispers sweet nothings and yet leaves the taster feeling very satisfied. Surprisingly sylph-like from a 11 hectare plot which usually offers more voluptuous fare. Still some oak structure but not plump like many Bâtards can be as the vines grow on the lower slope. Could age for another 4 years. Superb yet not quite sublime! Scores 93-95/100.